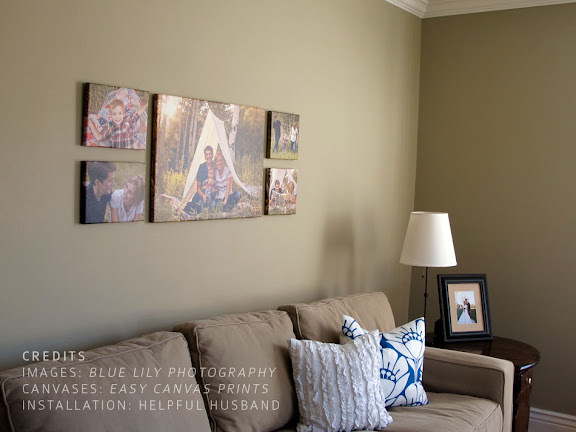 as a follow up from my post featuring gallery wall layouts ideas, i wanted to show you how our family portrait canvases turned out. i chose five favorite shots from our photo shoot with blue lily and am happy i did as i think it makes the display nicely cohesive. (if i were to choose an assortment of random snapshots, i might make them all black and white or sepia to create the same cohesive look.) when they arrived, i was impressed with the beautiful colors, the sturdy quality in construction and excellent shipping and customer service too. easy canvas prints offer high quality custom photos on canvas. psst. don't miss out on their big cyber monday sale, going on until december 1st. people love a giant picture; it's a perfect gift for grandparents, new parents, newlyweds or 'oldlyweds' like us. a happy best friend or sibling snapshot (captured on canvas) would be cute for a teen's room too. 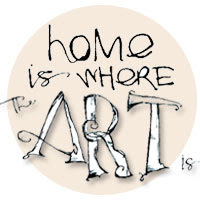 this post is part of my home is where the ART is series. the artwork is theirs, but these opinions are all mine; learn more about my handpicked sponsored series here. Oh Marta! 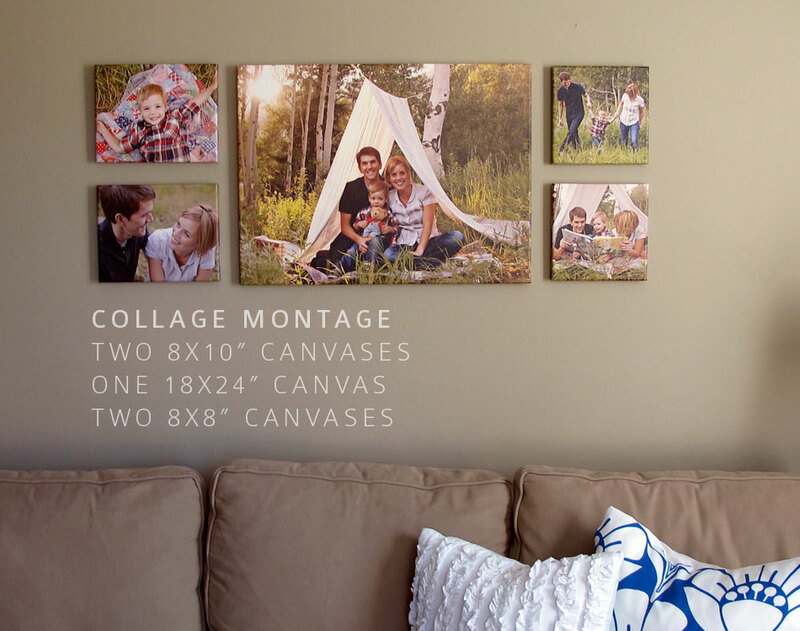 Your photos are gorgeous and the canvas sale is incredible! I may be tempted to try that. Thanks so much for sharing! LOVE these canvases. The display you dreamed up came together beautifully! Also, I just noticed your "Ad-Free" button next to this post. Why have I never realized this before? That's a huge reason I love your blog! No ads. I hate those things. So hey, thanks for that. They turned out so well! It looks beautiful. Oh I am sooo glad you posted about this sale! 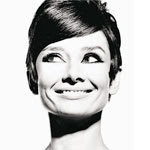 I just ordered an 18x24 canvas for only $54!!! I am ordering as well...I love your happy family photos..they look great! Those look gorgeous, thanks for sharing! Love these..turned out so cute!! !